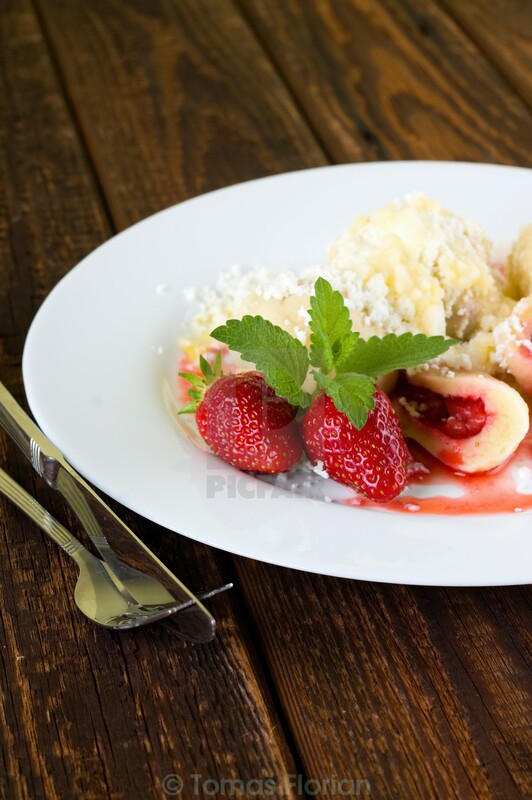 Vertical photo of white plate with four strawberry dumplings sprinkled by sugar and grated curd. Two sweet fresh berries are on side with few herb leaves. All is on wooden board with fork and knife.